I hiked today. Just finished 14.8 miles on the Pine Mt. Trail . I’m tired. I’ve changed into dry clothes, put on my new camp shoes, and had a snack. As I sit here on the tailgate of my Explorer, I’m thinking how I’ll feel at the end of a day on the AT. I’m also amazed at how well auto correct works on this iPhone. So If you’re reading this you will know that I successfully wrote, copied, and pasted this entry. Today was a day that I wanted to check our a few things. I’ve been debating whether or not to carry rain pants. So when I began my hike this morning I decided to try out some Frogg Toggs. 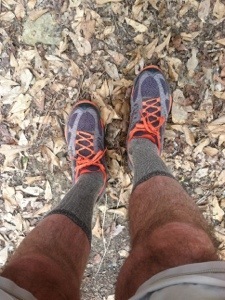 With the temps in the high 30’s and a chilly wind, I walked for almost ten miles before I shed them for running shorts. Surprisingly I liked them. They breathed well and were only damp around the waist. 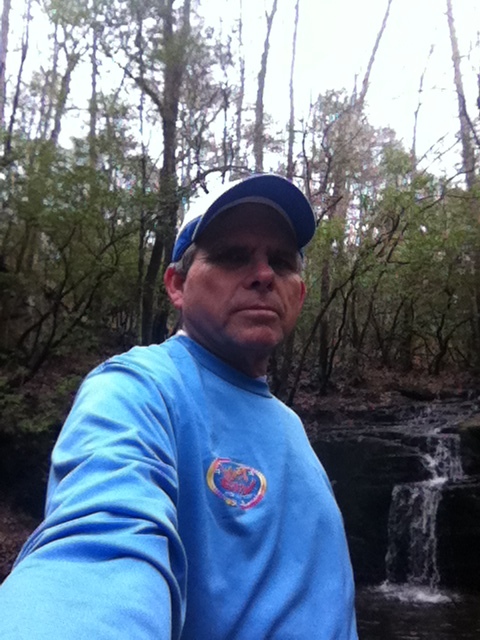 The hike today consisted of the 7.8 mile Big Poplar Loop plus a 3.5 mile each way out and back to Dowdell’s Knob. 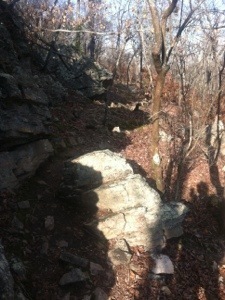 Terrain was easy to moderate with more easy; however, there were still some areas that reminded me of the AT. At one point there were so many rocks that I thought I had momentarily been transported to Pennsylvania. I also noticed how important it is to concentrate late in the day. On three occasions I slightly tripped just because I hadn’t raised my feet to avoid a rock. Again like many other weekday hikes up here, I saw no other people for the entire hike. I know that will never be the case on the Appalachian Trail. It got a little lonely at times. I rarely hike with music, so it was just me and my thoughts for over six hours. That can be good and bad. Would’ve been nice to share them with someone. I didn’t even see any wildlife, not even a squirrel. I thought a lot about my upcoming AT venture and about other hikes on the trail. At one point I remembered something that happened at Bascom Lodge on Mt. Greylock in Massachusetts. A thru hiker from Maine, who Alton and I had met a few days earlier, showed up in the late afternoon. We had gotten ahead of Junior because he had taken a zero day back in CT. After we persuaded him to join us for a salmon meal as our guest, he hoisted his pack to make the next shelter even though it was almost dark. Junior could smell the end. He was ready to be finished. Even when we offered to pay for his bunk he declined, stating that he needed to make more miles before sundown. As I sit here with sunset approaching, I wonder how I’ll feel if I get that close to completion. 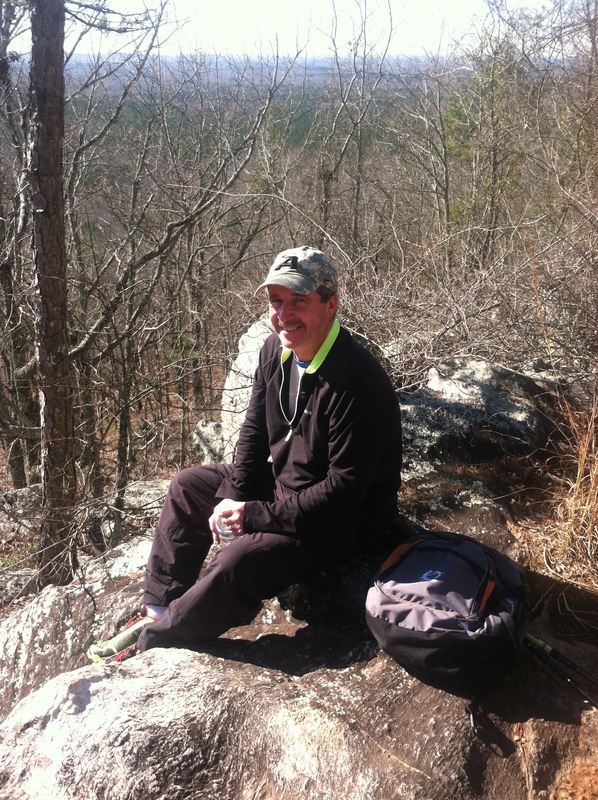 So today was a good day to hike…..not too cold, just cold enough to be comfortable. It would be a good night for a campfire on the AT. For me, it’s a half hour drive back to a warm home, a hot shower, hearty meal, and a comfortable bed. There will be time enough for camping once I arrive on the Appalachian Trail. 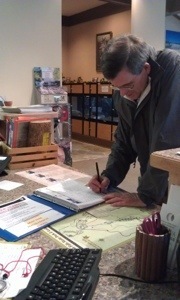 Part of a backpacking experience in the great outdoors centers around camp life. After a long day of plodding through the wilderness (or hiking on the Appalachian Trail), the weary hiker arrives at a possibly pre-determined destination to set up camp for the night. He may choose to wile away the hours in the company of other pilgrims in an AT shelter or lean-to, or he may prefer the isolation of a remote tent site off the trail. Or perhaps he may decide to combine the two and set up his tent near a shelter. Whatever the camp preference for sleeping, all who backpack must find a place for rest when evening arrives. 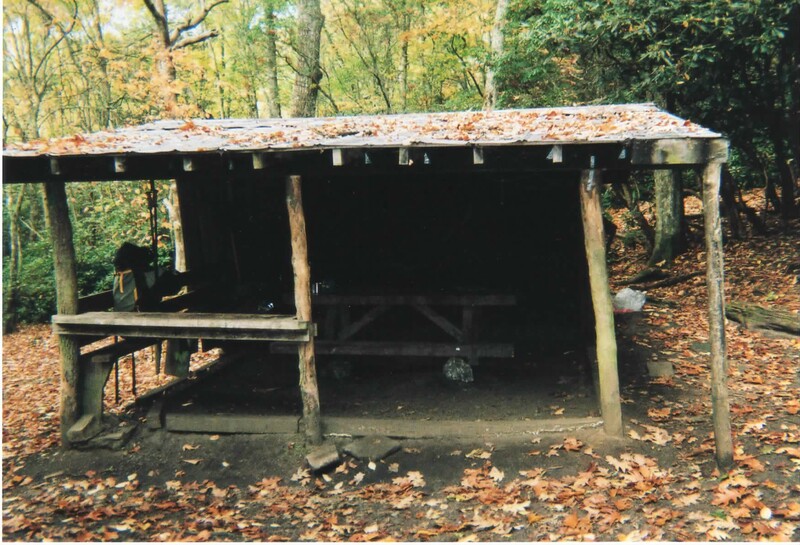 Shelters or lean-tos (depending on which state you’re hiking in) are usually three-sided, wooden structures that may sleep anywhere from 6 to 18 or more. Some date back to the early years of the trail while others have been erected in the past decade. Even though shelters do not provide any of the amenities of a hostel or lodge, some can be quite comfortable. While some are only the three walls and a floor, others may come equipped with picnic tables and occasionally a bench on which to relax. 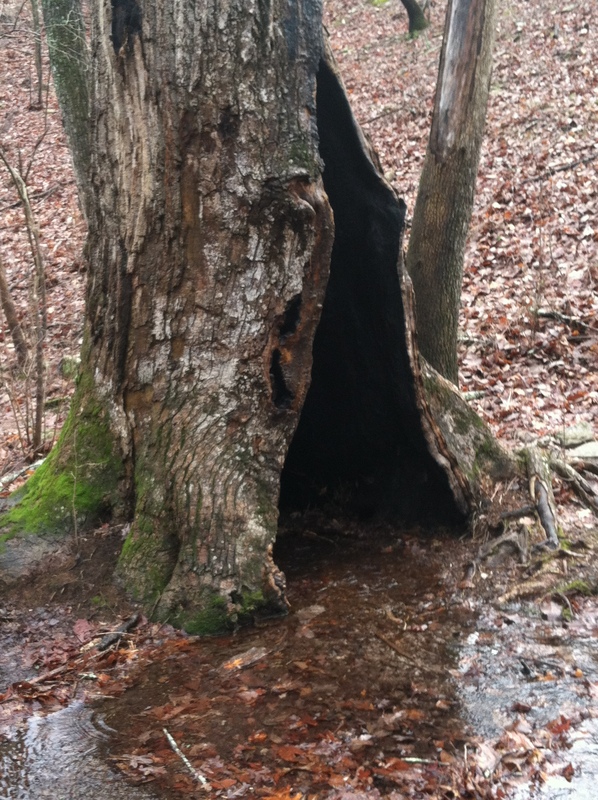 Some have privies; others don’t. A few even have wooden bunks which allow the earliest to arrive, refuge off the floor. Some shelters were constructed with two levels and a few are made of stone. If the exhausted hiker decides that he prefers the privacy of his own tent, then he is also charged with the task of finding the appropriate level spot, preferably located away from any dead branches hanging precariously overhead. The tent, of course, must be set up as well, which also means that it must be taken down the next morning. 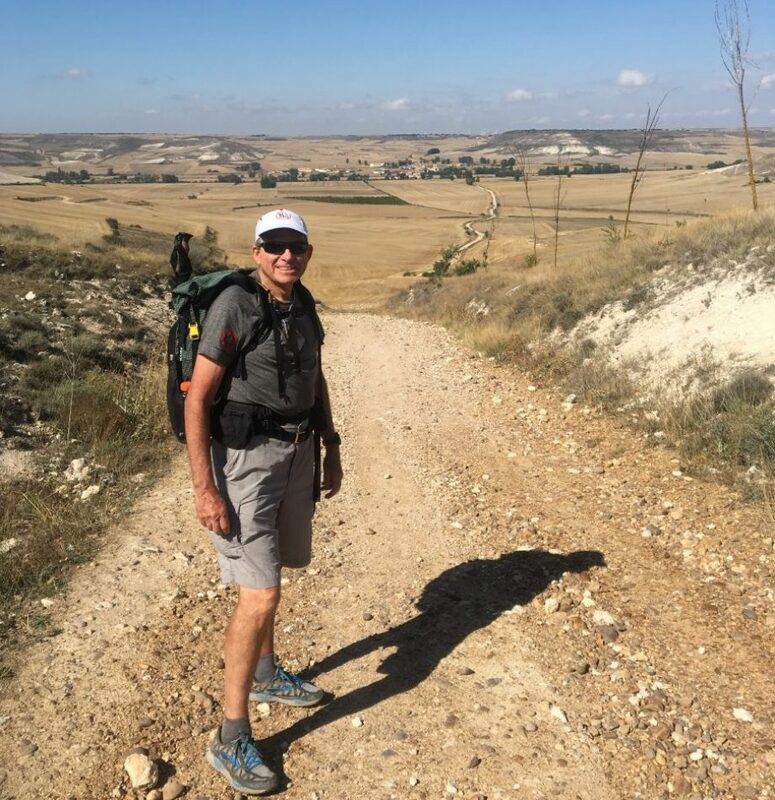 For most this is of little concern; however, for the novice hiker, set-up and take-down can require a considerable amount of time, at least in the early stages of the journey. Rather than tents, some hikers may prefer hammocks or mere tarps. Some even sleep in bivy sacks these days. Then when the opportunity arises, there is that other means of overnight accommodations…..the hostel or more to my liking, the motel. Even though I love to hike, I’m not that enthusiastic about sleeping in the woods every night. Realizing, however, that there will be on occasion three or more consecutive nights that I won’t have any other choice, I’m trying to make good decisions regarding which sleeping bag and what tent to include as part of my gear. Still, if I’m within a few miles of a room with a shower, laundry, and restaurants nearby, I’ll always opt for a night in town over another night on the trail. As the hike continues I’m sure I’ll get more accustomed to camping and just might eventually prefer a night in a shelter over a night at a Best Western. Then again, I might eventually prefer a Lipton side over a burger, fries, a soft drink or a milk shake. It’s not likely that either will happen while I’m hiking the Appalachian Trail, but I’m going to try to keep an open mind and entertain all my options. After all, a rested hiker is a hiker more apt to keep moving on. And moving on is what I hope to do. Over the ten plus years that I’ve section hiked the Appalachian Trail, I’ve learned quite a bit about trail food. As stated earlier in this journal, on that first hike in New Hampshire, none of my hiking buddies nor I even carried a stove. 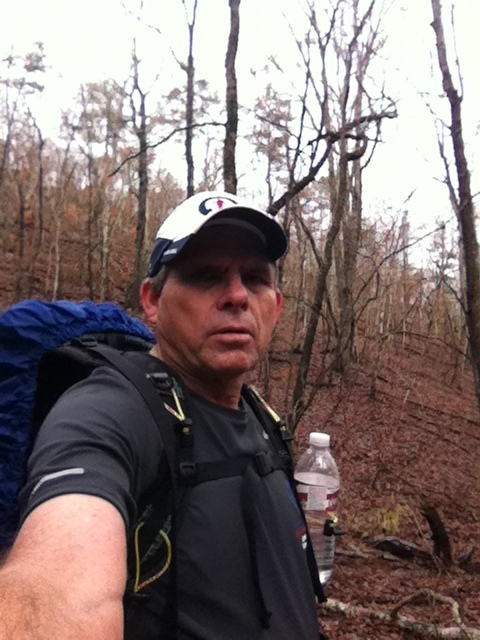 In fact, it was not until the first section hike in Georgia from Springer to Neel’s Gap that I used one. Not wanting to make any more purchases than were necessary, I decided for that first trail cooking experience, I would make my own stove. Well actually, my buddy Fitts made it with me, or for me, depending how much credit I get for watching. The crudely constructed alcohol stove, made from a soft drink can and directions found on the internet, not only served me well on that short 31 mile Georgia stretch, but also sufficed for the Connecticut-Massachusetts section Alton and I would tackle the next spring. When my first Thru-Hiker’s Handbook arrived in the mail, I immediately scoured the pages, noting all those that had an M on them. That M, of course, stands for places along the way where a real meal may be found. One hiking motto that I faithfully follow is “never pass a restaurant, reasonably close to the trail, without having a meal.” Before each of my section hikes, I’ve planned somewhat based on the availability of a meal. 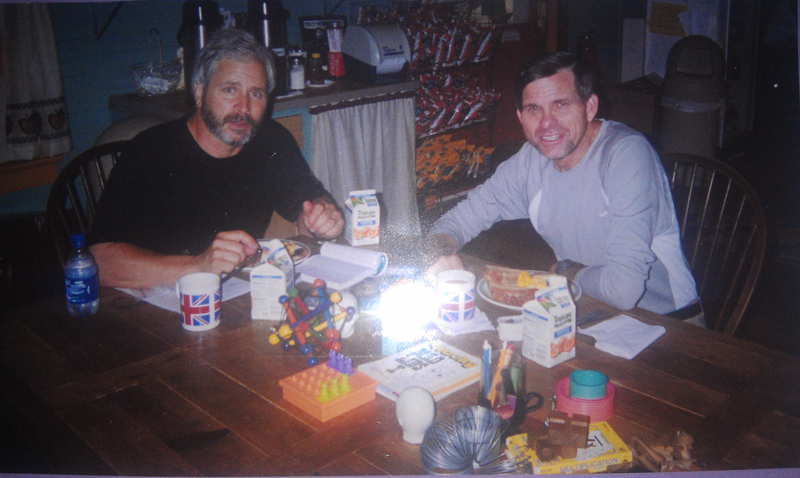 While hiking that CT/MA section, Alton and I were able to enjoy a restaurant meal almost every day. And another good thing about town food is that after you finish a meal, you can purchase another to take back to the trail with you. I’ve even been known to hitch into towns for specific eating establishments. On our hike of Vermont, I hitched a ride into Bennington for take-out, knowing that there was a Friendly’s there. In New York I hit every deli listed in the handbook. In New Jersey our first two days were arranged so that we could stop at a steakhouse just a few yards from the trail in Culver’s Gap. And by hiking south one day and doing another section north the next, Alton and I actually had breakfast three consecutive days at the same McDonald’s in Front Royal, VA. I know there will be times when there is no restaurant nearby, and that cooking on the trail is part of the experience. Still I won’t pass up an opportunity to dine in when it presents itself. Plus with my senior citizen discount, I might wind up only spending a few hundred dollars more by eating town food rather than trail food. Obviously each hiker will have his or her own individual preferences as far as food is concerned. Many will begin the hike, stoves in tow, looking forward to cooking their ramen noodles and Knorr or Lipton sides. I probably will as well, yet I do know that as I head northward, I’ll need all the good nutrition I can get. For this hiker, there’s nothing better than beginning or ending a day on the Appalachian Trail than with a great meal, unless it’s doing both. Last week I took my mom to buy a new stove. The stove she had cooked on since, in her words, “before your daddy died,” had served her well. It had offered up many a Thanksgiving dinner over the years, so it almost seemed appropriate that the oven would cease working on turkey day. In all likelihood, it will be the last stove that she will ever need. Still, like buying an appliance or a baseball glove, we never know when we are doing something for the last time, that is unless we’re old or facing death. When my son was only three or four years old, we began playing catch in the backyard. Many an afternoon, through his days of T-ball and later Little League, we would toss a baseball back and forth until dusk. He went through a phase where he wanted me to throw high flies and then another where he preferred grounders that he could scoop up and fire to a first baseman dad. I don’t know when we last played catch, but we did. It probably was toward the end of his last season of organized ball, but I don’t know exactly on what day. My daughter loved to swing on an old metal play set, also in our backyard. We have photographs and videos, as well, of me standing behind, pushing her into the air. The pigtails of a six year old fluttered in the breeze on a chilly winter day. Even in the cold, she still enjoyed this time to spend with her dad. These carefree, innocent days of childhood were fleeting even as they transpired. I don’t know when I last swung her, but I did. On one of those days of winter, or perhaps in springtime, we walked back into our home after an hour of happiness that would never be shared the same again. In March of 2013, I hope to stand at the base of the plaque on Springer Mountain, which designates the southern terminus of the Appalachian Trail. A little over five months later, in late August, I hope to be posing for a final photograph at the marker that sits atop Katahdin. Both events, if they do come to pass, also in all likelihood, will be for one final time. Throughout the spring and summer, as my mother cooks on her last stove, her son will be travelling north, working hard to complete a thru hike of the Appalachian Trail, both for the first and last time. As I walk from Georgia to Maine, I expect to meet many other travelers. Some of those may become friends with whom I’ll later exchange a Christmas card or perhaps call to wish a happy birthday. Others I’ll see for a last time somewhere along the way. We won’t know it at the moment. We may not even remember where it occurred. All we will realize, and come to appreciate even more keenly over the years, is that we walked together, fellow pilgrims toward a destination and a dream. As Ulysses says in Tennyson’s poem, “I am a part of all that I have met.” Each of us will become a part of the other, when we initially exchange greetings, and also when we say our goodbyes, for what very well may be a last time. 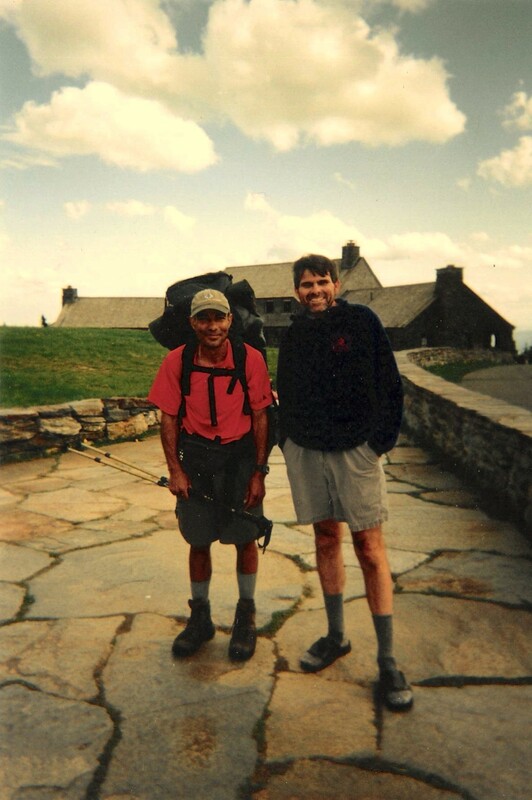 Life has so much to offer, and so does a journey along the Appalachian Trail.